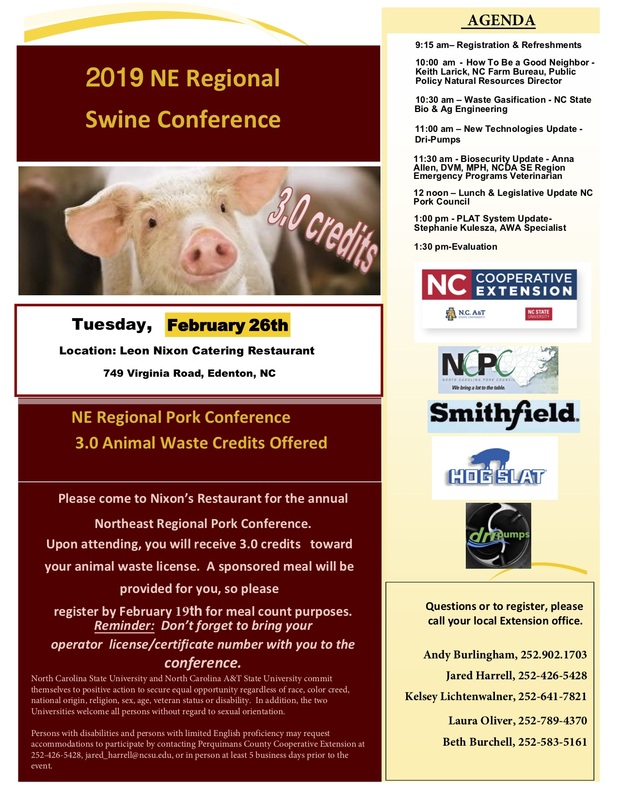 The 2019 NE Swine Conference will be held on Tuesday, February 26, 2019, at the Leon Nixon Catering Restaurant in Edenton. 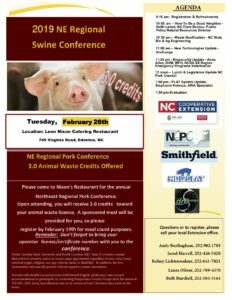 For more information or to register, contact your local County N.C. Cooperative Extension office.